A good hair day will be yours every day whether you prefer to wash and wear or do a full blow dry and styling. 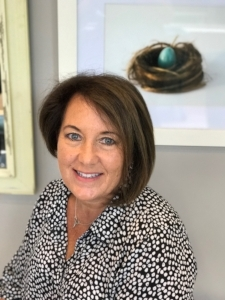 Gina started her career in 1983 with professional training at Vidal Sassoon and spent her first 5 years at Maxine Ltd., one of the top salons in Chicago. Gina loves working on all kinds of hair and her results are nothing short of genius when partnering with you to work a style that compliments your own unique hair texture, facial features and personality. Gina especially loves big transformations such as color, keratin treatments, and drastic haircuts. Brandon has been a stylist since 2007 starting out at the prestigious Mario Tricoci of Naperville. Brandon's biggest accomplishment to date has been performing as a platform artist for Bohemy hair extensions at the 2014 Midwest Beauty Show. Brandon's expertise also extends to blonde hair because blondes always have more fun and don't forget blowouts your hair certainly won't. With the motivation for success and leadership skills, Yolanda joined our team in 2016. But no stranger to the salon industry, Gina and Yolanda have history with working side by side which surely helps when making the right decisions for the business and growth in our future. Growing up as a child, Elizabeth spent many days in the salon watching her mother as a Hair Stylist. This is where the passion for hair started for her. In 2012 she graduated from the Aveda Institute of Chicago and her journey behind the chair began. Her Knowledge with Aveda products and cutting techniques allows her to bring creativity to each individual client to reach the vision they dreamed of. With great talent in balayage, highlights, single process color or fashion color this is where the fun begins in her chair. Elizabeth also specializes in Keratin Complex Treatments, wedding styles and makeup applications. Her dedication to her work shows every time! Allison is a native of Chicago who found her passion while studying art in college. She went on to pursue that passion in makeup and began her career with Aveda in 2009. Since then she has been a member of the Aveda network and has held many concurrent positions in freelance makeup teams, salons, as well as managing the retail experience center in Chicago. Allison is a graduate of the Aveda Institute Chicago and continues to grow her skills through advanced educational classes. She prides herself on being an honest, straight forward and down to earth stylist who creates styles that are fashion-inspired yet easy and wearable. Her training and education along with her affable personality provides her guests with a dependable and detail oriented professional. Joanna started her hair styling career in 2002 at one of the highest rated salons in Poland. She decided to expand her career and emigrate overseas to the U.S. to pursue her dreams. As she specializes in cutting, coloring techniques, balayage, ombre, keratin treatment, and special events updo's and styles. Joanna's artistry goes beyond hair and into professional make up. Her passion and knowledge shows on each client that leaves her chair. She has a innate ability to personalize her work to suit each client's specific needs while having utmost consideration for your hair's health and ensuring that your hair emphasizes your natural beauty. Amanda came to Chicago to emerge herself in all things hair. She prides herself in being well rounded in all aspects of her career. From structured, classic bobs to rainbow balayage to corn rows and fades. She graduated from Paul Mitchell school Chicago in 2010 . since has been exclusively working with Keune color line and styling products. Amanda;s passion is working with people while creating customized styles that make everyone feel their best from the inside out.